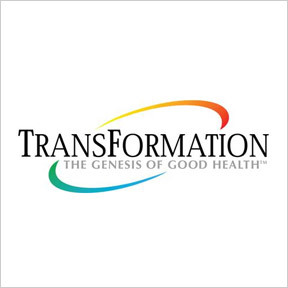 Since 1991, Transformation Enzyme Corporation, has been dedicated to developing and manufacturing high quality digestive enzyme and probiotic supplements in support of optimal health and vitality. Essential for life, enzymes are energy-rich protein molecules that catalyze and regulate chemical reactions and are a necessary component of all bodily processes. Digestive enzymes support the body’s ability to recognize, transport, absorb, and utilize nutrients from foods for energy production, cell growth and repair, and overall healthy function. Transformation Enzymes’ innovative products are designed by nutritionists, biochemists, microbiologists, physicians, and dieticians who monitor and select the highest quality enzymes, herbs, and nutritional ingredients, and ensure formulas are based on up-to-date peer-reviewed scientific data. To assure maximum product quality, raw materials provide a high level of activity and a wide range of pH stability, while manufacturing processes exceed cGMP standards for excellence, safety and reliability. All products include proprietary enzymes for optimal bioavailability and contain no fillers or excipients. Product containers are BPA-free. Adrenal Complex: Designed to nourish and support the adrenal glands, this formula provides specific vitamins and minerals essential for adrenal energy and hormone production, as well as concentrated adrenal suprarenal substance, and a proprietary enzyme blend for effective utilization. Non-allergenic formulation. Digest: This very concentrated enzyme formula provides digestive support for proteins, fats, and carbohydrates. Digest is designed to help promote the bioavailability and absorption of nutrients, the health and vitality of cells, and improved overall digestive and immune health. Non-allergenic formulation. PureZyme™: Designed to promote systemic balance, as well as healthy circulation, immunity and elimination, this gentle, well-tolerated GI and pH stable protease enzyme supplement provides natural support for maximum digestion of nutrients with additional support for protein digestion. Non-allergenic formulation. Probiotic: This proprietary probiotic blend is designed to enhance the ecological balance of friendly bacteria to help promote gastrointestinal health, assist with regularity, and support a healthy immune system. Each comprehensive capsule provides 5 billion cfu of six probiotic strands, plus prebiotic fiber, and lactoferrin for immune support. Non-allergenic formulation. This entry was posted in Home and tagged Adrenal Complex, Digest, probiotic, Professional Supplement Center, PureZyme, Transformation Enzymes, Transformation Enzymes – Featured Brand, Vitamins and supplements, www.professionalsupplementcenter.com. Bookmark the permalink.